My close friend’s 13-1/2 yr old daughter has run away from home for the second time (1st time 8/2; “found” by police 8/19 hiding in a closet at a friend’s home & returned to mother that day; then she ran away again 8/24 and is still “missing”) and as happened during her first runaway attempt, is evidently living with individuals who have no problem “hiding” a minor child! Missing child police reports, etc. have been filed by the mother. This child is also not attending school, so truancy is now an additional issue. She is for all intents and purposes 100% living “underground”. Of course the mother is beside herself. This child does not come from an abusive environment, lack for much in life, etc. Truly a sad, sad situation. What can you see happening in this situation? Will she return? Why are the police so lax in seemingly all they do with this case? What about the individuals who are certainly breaking the law by harboring a runaway minor child? I will direct the mother to read this to (hopefully) provide some comfort to her in this very unfortunate situation. 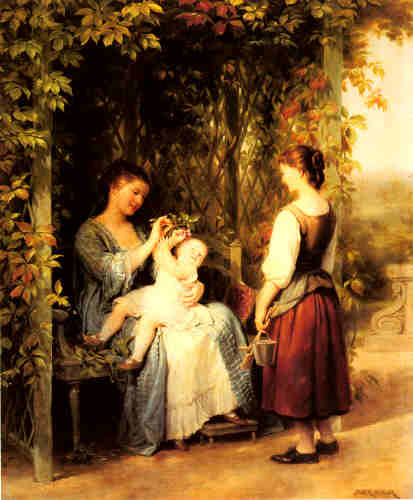 Since the mother is a close friend of yours, we would give her the 11th house of friends, and its ruler, the Sun in Virgo. 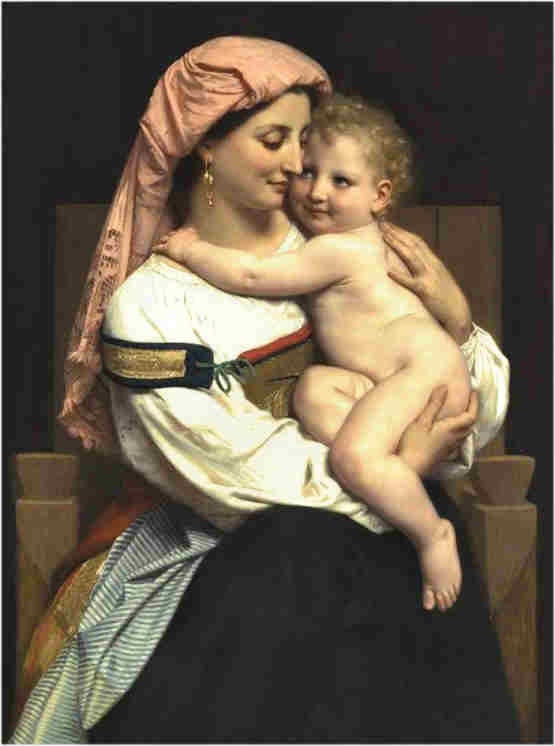 Her runaway child is shown by your friend’s 5th house of children, and its ruler, Mars in Gemini. First, let’s take a look at when the missing child will return: the Sun will square Mars at 24 degrees of their respective signs, so it will be in 11 or 12 somethings. The applying planet (the Sun) is in a cadent house, so we would likely see this as days. There is the possibility we are looking at hours, but days seems more likely given how long the girl has been gone. So she will be back in just under two weeks. Will it be for good? I’m not convinced; with mutable signs dominating the chart, ther may be a bit more of this back and forth lifestyle. Second, let’s try to figure out why she is running away. With Mars in the sign of Mercury and detriment of Jupiter, she either really likes what Mercury represents or hates whatever Jupiter represents. Mercury rules the missing child’s 11th house of friends, so this may be one reason she’s running away. Jupiter rules her 2nd, 4th, and 5th houses, so it could be she simply doesn’t like being at home, or potentially has some self-esteem issues (2nd house). But really, why not just ask her, and maybe get a therapist to talk to her? Third, why are the police not doing anything? They don’t want to deal with it, especially after having already done their duty once. The police are represented by the 10th house of authority, and its ruler, Mercury. Mercury is in the fall of the Sun (the mom) and the detriment of Mars (the daughter); it’s not that they don’t care. Rather, they are intentionally not pursuing this. They certainly could do so; Mercury is powerfully placed in the first house. But they had already done so once, and don’t want to get involved again. Note how Mercury was recently in its own sign and exaltation, Virgo – in the recent past, the police were doing their policing, as they should have. But they are onto other things, and couldn’t be bothered, since there seems to be no danger to the child. Fourth, why are these people harboring her? Without knowing her exact relationship to these people, it’s difficult to say. If they are just anybody to her (not friends, for example), we would take them to be shown by Venus in Leo. Since Mars has recently sextiled Venus, this is quite possible. If this is the case, the people with whom she is staying are not bad people. Venus is in its own term, which lends some amount of character to the people involved. 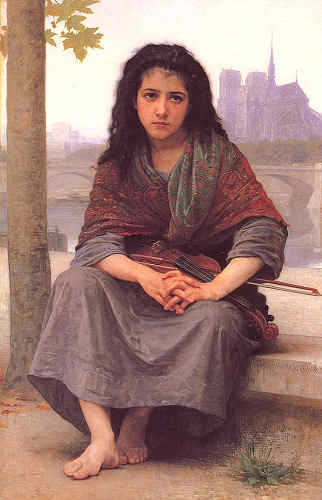 Which leads me to believe that she has told them a compelling story – true or not – about why she has run away. My son has been an on/off IV drug user since he was 18. He is presently 24. The guilt & devastation this has caused family is beyond words. Of course when he is using he cannot be trusted, has stolen my car, etc. When he is clean he is kind, caring & smart. He came from a “normal” middle class home, no abuse/addictions, and two happily married parents. We threw money at it initially, in our panic. Now we give unconditional love, and lots of our time. We see that this will be a lifetime commitment. Otherwise, my life is greatly blessed with a husband that adores me, a job I love, a happily married well adjusted daughter, and solid relationships. In this horoscope, your son is shown by Mars, ruler of your fifth house of children. Mars is not doing terribly well; it is in Taurus, the sign of its detriment. Clearly, your son is not in a good place. The question is whether this will ever change, and if so, when. The good news is that Mars is angular, just about to enter the seventh house. So the only person who can change the situation is your son. Does he want to? I do not like the fact that Mars is in a fixed sign, showing a resistance to change. I also do not see a major motivation for him to do so. If he wanted to change, I would be inclined to look at Mars’s transition into the next sign, Gemini (where it is considerably stronger than in Taurus) as showing definite improvement in about 13 to 14 months. However, if, as I suspect, the motivation is not there, this timeline turns into 13 to 14 years. Whatever the timeframe, about three quarters of the way through, he is going to experience some kind of negative wake-up call, which may well motivate him to make a serious change. This is shown by Mars applying to square Saturn. Saturn can just rule negative things in general, but here it rules your son’s 12th house of self undoing, which can include both drugs and jail. So there is a sense that he will hit rock bottom before things improve. I wish the news had been better, but the motivation to change his life will have to come from within. Free Astrology Advice: Horary Astrology – Is This a Good Time to Conceive? Is now the right time to conceive? I have been with my husband for ten years (four years married). We are very compatible and feel now may be the right time. We’re both 28. I am finishing up college in December. I am torn between jumping head first into a career, buying a home or having a child! He says that now is right but has been against it until now, which doesn’t seem fair to me. In this horoscope, you are represented by Jupiter, ruler of the first house of self, and also by the Moon. We will also need to take a look at your fifth house of fertility, which is ruled by Venus. We see that your and your husband’s biological clocks have been a major topic of contention recently; the Moon has just opposed Mars, which would indicate disagreements regarding your husband’s desire for children. Mars rules your husband’s fertility, as it rules his fifth house of kids. I suspect that finances have a lot to do with your reservations about having children right now. 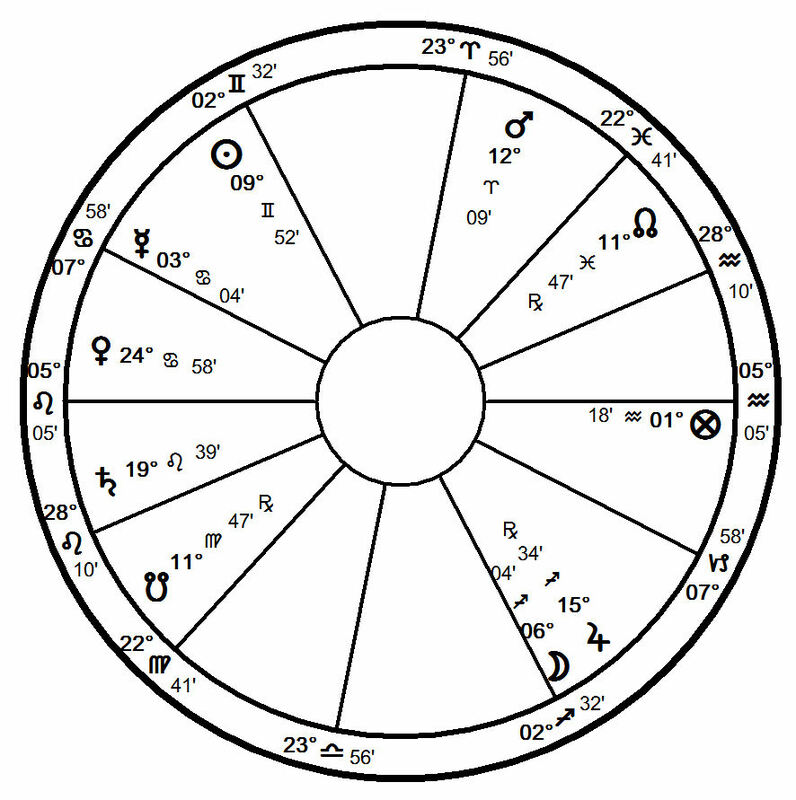 We see that the fifth house ruler, Venus, is about to conjoin Saturn in barren Leo, and Saturn rules the second house of money. How is your money? With Saturn in detriment, not so great. So there is a strong argument for you going out and getting a job before committing to kids. We also see that Mars afflict the fifth house, and this is not just about Mars representing your husband’s fertility. Mars also rules your fourth house of home and real estate. So you recently realized your house is no longer satisfactory, which is another pressure on you. Again, if you’re going to have kids, it would make sense to have your new house set up first. 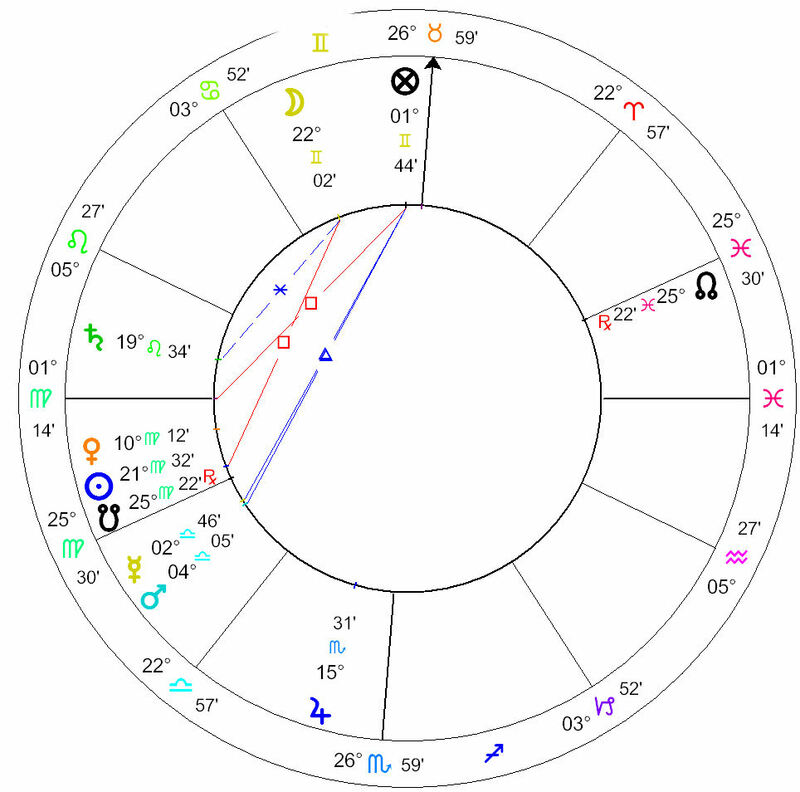 Given these two afflictions from Saturn (money) and Mars (housing and pressure from husband’s bio clock), I think your instincts are correct, and you should get your financial and housing situations straightened out before deciding to have kids. —Readers who wish to get a reading from Nina Gryphon may purchase one at top left, or learn more at http://www.gryphonastrology.com/astrologyreadings.html. Free Astrology Advice: Horary Astrology – When Will My Daughter Get a Job? Will there be a job opportunity for my daughter soon? She is a single mother, has applied in numerous places but nothing has opened to her. I’m retired and have helped her to the limit of my fixed pension. She is determined to accept any job. Your daughter is shown by your fifth house of children, and its ruler, Venus in Leo. Venus is peregrine, without strength, in that part of the zodiac. This can indicate that a person is wandering, which is another meaning of peregrine; this is true – your daughter is wandering between jobs. Peregrine can also indicate that the person may not have the skills employers are seeking. Ideally, we would see your daughter’s significator strong, showing that she is qualified for the jobs she seeks. Still, there is no reason she shouldn’t get hired. It’s just that she is not a shoo-in. Her next job is showed by the 10th house from the 5th, and its ruler, the Moon. Now, we see that the Moon is in Pisces, the exaltation of Venus (and in fact, it has just left the super-exaltation degree of Venus). I take this to mean that she will leave her pleasant but unemployed state soon, just like the Moon will shortly leave Pisces. The Moon will enter Aries, which is the detriment of Venus – she will find work, but she will not enjoy it. When will this likely happen? Well, we have two possibilities: the Moon will enter Aries in about 3 degrees, and it will make its next aspect as a trine to Venus in 6 degrees. Since the Moon is in a mutable sign, it will go a little bit slower than normal. So we could say, between 4-6 weeks, two months on the outside. —Readers who wish to get a reading with Nina Gryphon may click the PayPal button at top left, or go to her website at http://www.gryphonastrology.com/astrologyreadings.html. Free Astrology Advice: Horary Astrology – Will I Ever Have Another Child? I have had endometriosis for the past nine years. I have one son and I’ve lost four babies since 1998. The most recent loss was in February and since then I have had nothing but problems. I am in pain constantly and I am seriously considering a hysterectomy. I am only 29 and my fiancé has three children, two of which we have custody. I desperately want to have another child, but the pain is so bad that sometimes it just doesn’t seem worth it. Is that slim chance of me having another child worth all the pain I am going through? I want to have the surgery if it is going to be better for my health, but I am torn between my emotions and my body. Part of me is screaming to just have the surgery, but the other part of me is crying out for another child. Will I ever have another child? Thank you for writing to me. I know people with this difficult illness, and the attendant pain, suffering, and sometimes infertility is truly unfortunate. Since this is a semi-medical question, this would be a good time to mention that I am not a doctor, always listen to your doctor first, this is not medical advice, etc. First, we note that the ruler of the first house of self is the Sun in Gemini, a barren sign. However, it is conjunct Aldebaran, a fixed star in the constellation Taurus. It is associated with a fresh start, so perhaps the meaning here is that you may be fertile, but unable to carry a child to term. But let us look at other indicators in the horoscope. 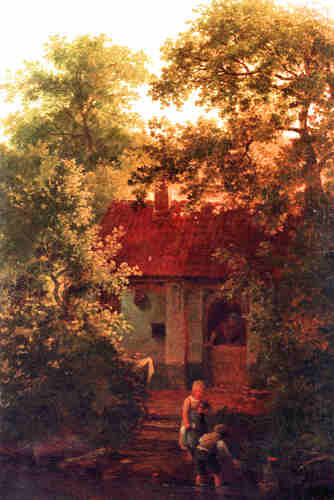 The fifth house, which rules your children and fertility, is governed by Jupiter, which is in Sagittarius, a sign that is neither fertile nor barren. Jupiter is in its own sign, which is positive, but it is retrograde, again repeating the same theme that your pregnancies would end prematurely. We also see that Jupiter is trine Mars and Saturn, so it is severely afflicted by these two malefic planets. Note that Saturn rules your seventh house, which signifies your reproductive system and pelvis, and it is very weak due to its location in Leo, the sign of its detriment. This is a reflection of the illness afflicting this part of your body. It is important to note that the Moon in Sagittarius is just inside the fifth house of children, so it is going to be an important indicator of your fertility. It is Peregrine, so it has no essential strength, and it is quite afflicted by its upcoming opposition to the Sun. 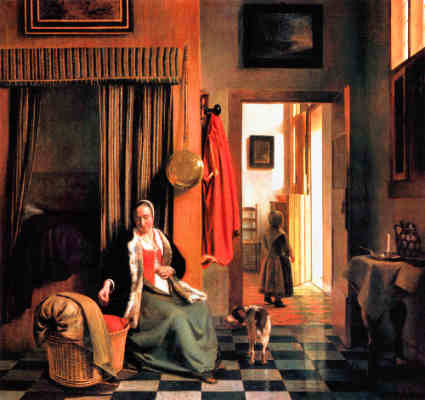 The Moon rules your 12th house of self undoing, and afflicts the ascendant by a trine aspect, indicating that your desire for child harms you (presumably because you are not getting surgery to stop the pain, and also to prevent the illness from getting worse). Since your question is partly medical, I also would want to take a quick look at the prospective treatment (the hysterectomy), which is ruled by the 10th house. The 10th house is ruled by Mars, the natural ruler of surgery, so that is very appropriate. Mars is quite strong in Aries, where it exalts the Sun. So the proposed surgery looks rather helpful to you. Unfortunately, the prospects for carrying a child to term are not very positive. You probably could conceive, but the problems indicated in the horoscope are quite serious, and I would hate for your health to deteriorate further if another child was lost. Note that even if the surgery did not prohibit the aspect between the Sun (you) and the child (Jupiter), the aspect between the Sun and Jupiter is an opposition, which indicates conception, but one that does not end well for you or the child. Free Astrology Advice: Horary Astrology – Will We Have Another Baby? My husband and I have two wonderful children. We are both 40. We both want another child but it doesn’t seem to be happening for us. We have had all testing done and the doctors can’t give us any reason as to why we are not getting pregnant. We did get pregnant 6 years ago; but sadly miscarried at 9 weeks. We are both in good health with the exception of myself having high cholesterol, which I do have under control with diet and exercise. Since you are about 40, we will need to find an aspect between the planet showing you and the planet showing the baby. If the same question was asked by someone in their 20s, general indications of fertility in the horoscope would be sufficient. But as the odds drop over time, we need stronger and stronger evidence to show conception. You are represented by the Moon, ruler of the first house of self, and the baby/your fertility potential is indicated by ruler of the fifth house of children. Your husband is represented by her seventh house of partners, and its ruler, Saturn, and his ability to conceive is indicated by Venus, ruler of his fifth house. We will look at the condition of all these planets, which will help us determine just how fertile the two of you are, and potentially, where the obstacles to fertility may lie. The Moon is in Virgo, which is a barren sign, and afflicts your fifth house of fertility by a sextile aspect. This is not an auspicious start, but it can still be overcome by other positive evidence. The significator of the potential baby is Mars in Aries, which is a neutrally fertile sign. Mars is in the ninth house, where it is cadent and therefore difficult to express its energy. Your husband’s significator, Saturn, is in a barren sign, Leo. 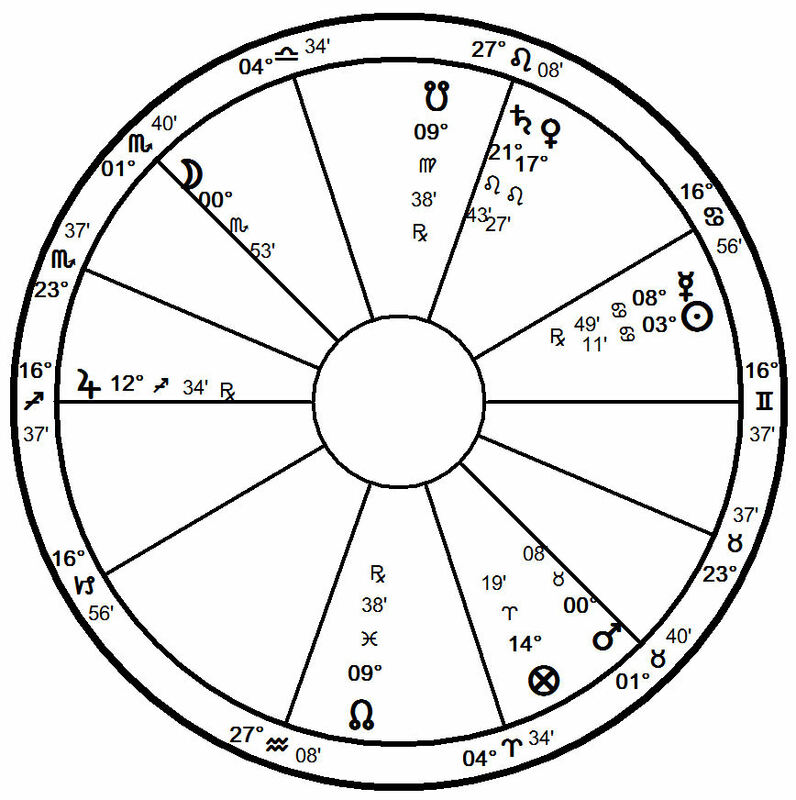 Saturn also afflicts your fifth house, your fertility, by a square aspect. 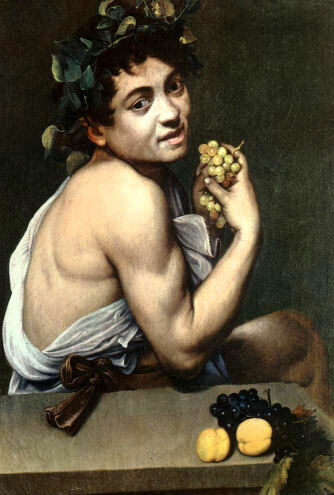 His fifth house is ruled by Venus in the fertile sign of Cancer, which is very positive. However, I am concerned that this testimony alone is not enough to promise a child. This fertile Venus applies to trine your house of fertility, which is a positive factor, but it is tucked away in the 12th house, and so does not have the oomph needed to manifest. We do not see an applying aspect between the Moon and Mars, which, combined with the testimonies for infertility, does not promise a child. We do see an applying aspect between the Moon and Mercury. Mercury can signify doctors, so you may well make another trip to the physician either for testing or for fertility treatment. I do wish you much luck. Free Astrology Advice – Horary Astrology: When Is the Best Time to Conceive? Me and my husband have been recently thinking about having a baby. We thought we would start trying at the end of the year. The problem is that I have gone and looked at my transits for the next few years and am now completely scared as a result of what I see and can’t explain to my husband why it may not be a good idea to do this. (He thinks astrology is ridiculous.) 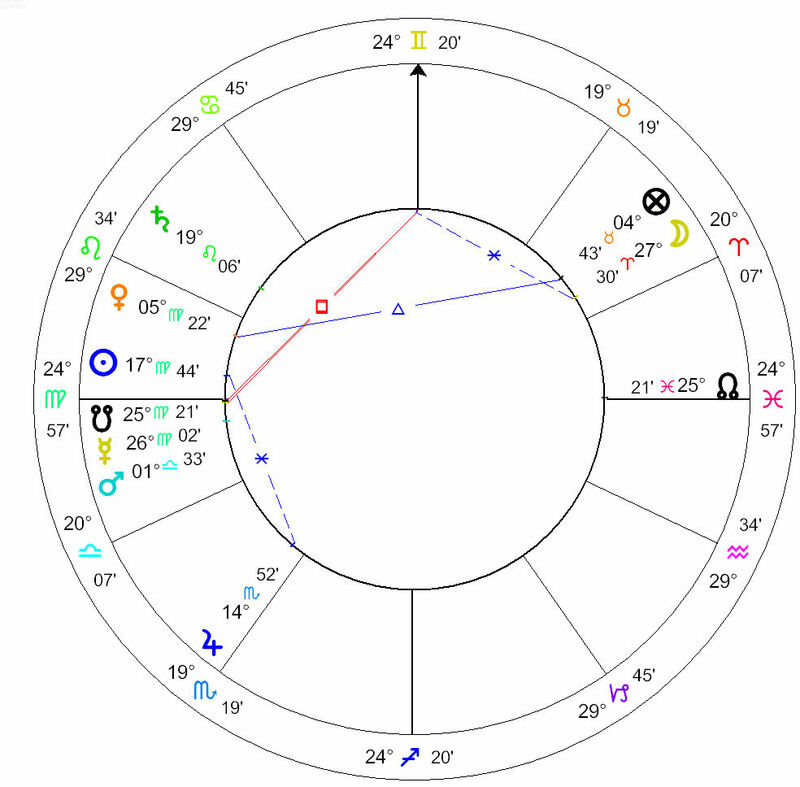 What I am worried about is that I am only seeing the negative side to all of this and I really need someone else’s opinion about these transits in relation to deciding to have a baby. At the end of 2007, saturn moves into my fifth house and will eventually oppose my pisces sun and moon at the same time that transiting Uranus conjucts them. I see that as a pretty heavy thing by itself but when a baby is added to the picture it seems crazy. Then there is the fact that the child would be born with this configuration and forever activate this in me. I don’t know. To be honest I feel ridiculous basing such an important decision off of astrology. I have studied astrology long enough to know that all is not negative, that things can be looked at in many more ways than one but still I am lost in my fear of really screwing up my rather wonderful life by having a baby. Knowing astrology can be somewhat debilitating, because you can always find reasons why the universe is conspiring against you. We seem to have this notion that for any endeavor to be successful, whether it’s having kids, or starting a new business, the stars all have to be aligned perfectly. But of course, successful projects get started all the time, and not all conditions are optimal. The main thing when deciding what is the best astrological moment to do something, is for us to practice some damage control. This takes a lot of the pressure off, and allows us to start at least on a neutral playing field, if not always a favorable one. In a post this weekend, I discussed the best time to cut hair for fullness. In that particular chart, we were able to find some pretty darn good conditions for cutting hair. I also mentioned in that post, that electing a moment that is favorable astrologically to your purpose can be quite expensive, because it is very time consuming. In the post I’m about to write now, I will use horary astrology, normally used for answering questions, to elect a more favorable time to do something. 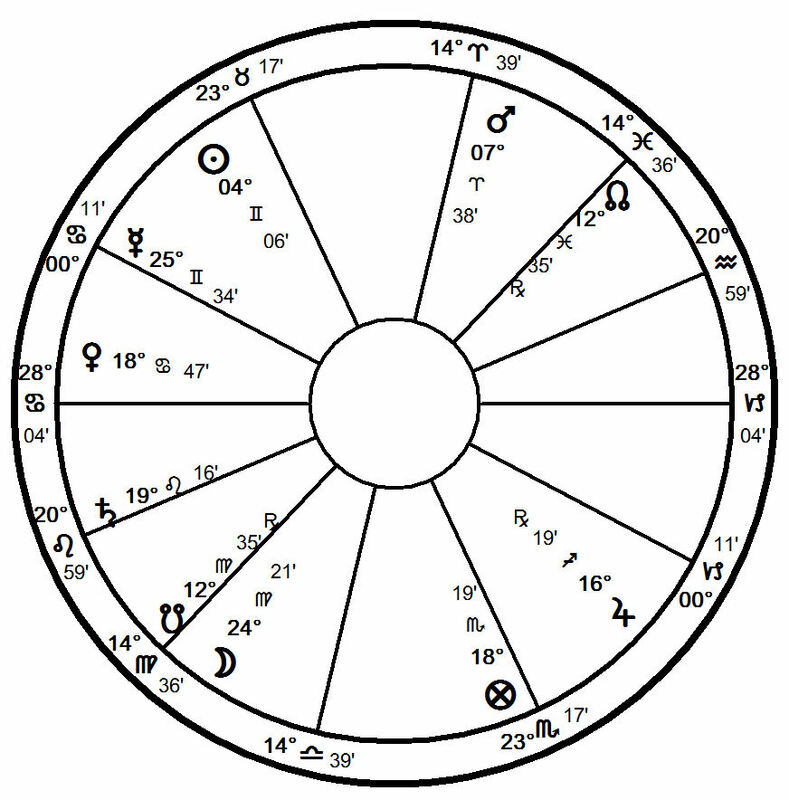 It is not as optimal as finding a good time with election will astrology, which takes the natal chart into account, but if you’re looking for a generally positive time to do something and don’t need a lot of exactitude, it will do the job nicely. This method does not specifically look at the transits – it incorporates them into the answer. Whatever “it” is that answers our questions through horary astrology takes the whole situation into account. Saturn transiting the fifth, by the way, is not uncommon during the first pregnancy, and does not necessarily mean awful things. Saturn is responsibility and commitment, and if pregnancy isn’t that, I don’t know what is. 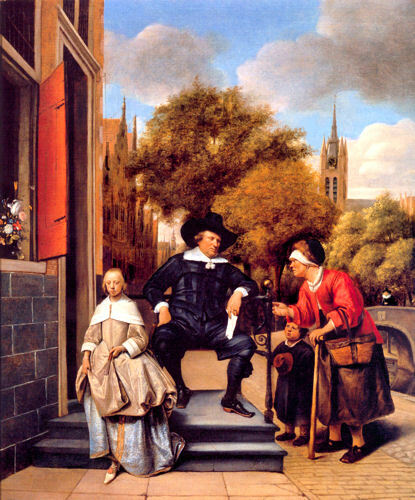 In a chart about fertility, we will want to look at the first house, which is the client, and the fifth house, which is the baby. We will want both houses or their rulers strong, and in reasonably good reception, showing mutual compatibility and love. 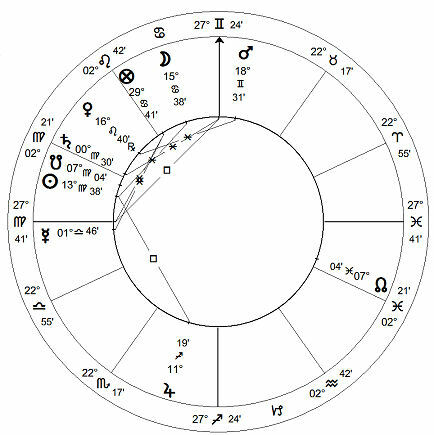 In this chart, we will want to make sure that Mercury and Saturn are both reasonably strong, because they rule the first and fifth houses respectively. The way things stand now, the situation does not look fabulous. Mercury, the client herself, is about to conjoin a rather malefic Mars in Libra, where it is in its detriment. So, ideally, we will want to have conception after Mercury passes Mars. Mercury hits Mars in 1.5 degrees, and we can assume that the timeline we are looking at for the client, based on the planets’ location, is that of weeks. So, from the time of the question, which is on September 14, 2006, we’ll want to wait at least 10 days (1 1/2 weeks). Anytime after that will be good for the client. Mercury is in its triplicity, so it is fairly strong in Libra. This ensures that the mother will be in good health if she conceives after September 24, 2006. Let us turn our attention to Saturn, Lord of the fifth house, showing the baby. 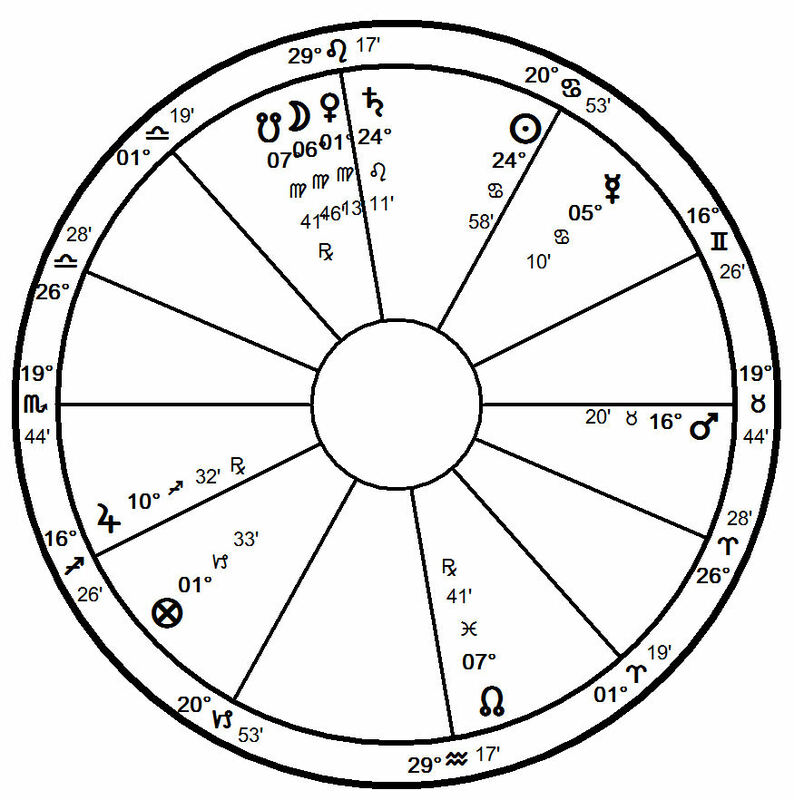 Saturn is in Leo, where it is in its detriment, and it is in the malefic 12th house. We will have to wait until Saturn leaves Leo, symbolically speaking. Saturn will enter Virgo in 10.5 degrees, and the location of Saturn in a cadent house gives us a timeline of months. Therefore, the client will want to wait 10 1/2 months from the time of the question to conceive. This will ensure both that the baby is healthy, and that the relationship between mom and baby is good. In Libra, Mercury is in the exaltation of Saturn. This shows that mom is just crazy about the child. 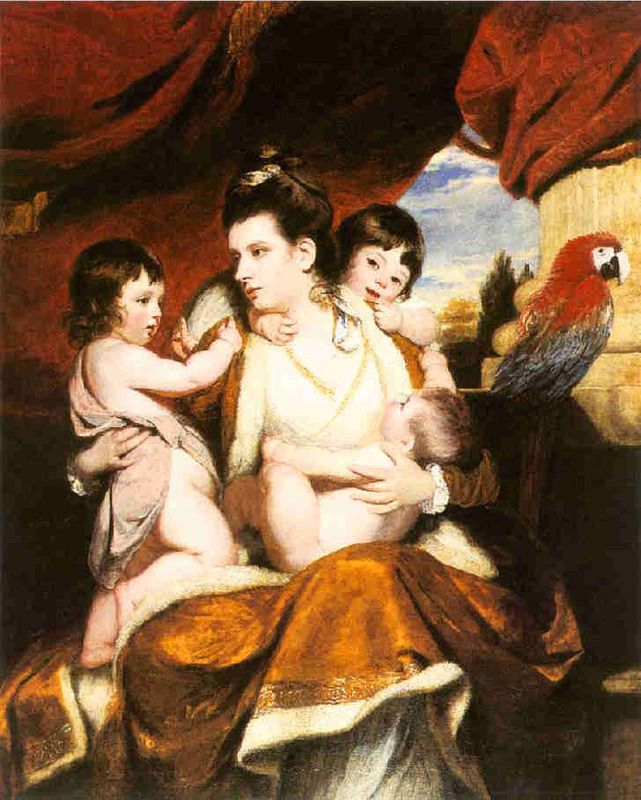 Saturn in Virgo is in the sign of Mercury, showing that child loves the mother. This gives us a pretty good timeline with which to work. I would strongly advise against conceiving before the 10 1/2 month time is up, both for the well-being of the baby and the relationship between mother and child. Good luck, and let me know how it goes. — — — To schedule a private consultation with Nina, e-mail her at nina@gryphonastrology.com. Free Astrology Advice: Will I Conceive? Or Should I Adopt? I am in my late thirties, and not in the best of health. In and before my three years of marriage, I have had eight surgeries, several on my reproductive system. My husband has been tested for fertility, and has been found to be quite fertile. Will we be able to conceive naturally or will we need to do fertility treatments to achieve a pregnancy? Will I be able to carry a baby to term after the treatments for my illness end? Are the treatments and also the fertility treatments dangerous for me? The drugs they are giving me have AWFUL side effects and I’m scared. Is adoption a more reasonable approach (for us) to parenthood, and should we put more emphasis on this approach to familyhood? A number of my clients are concerned about fertility – as more and more women postpone childbearing for economic reasons, the likelihood of conception also drops. Fertility treatments are very expensive, so many of my clients contact me to figure out their odds before spending tens of thousands of dollars on medical intervention. Adoption is expensive too, so for many people, the choice comes down to the financial dilemma of additional fertility treatments or an adoption application. As with all health-related questions, this is a good place to mention I am not a doctor, and you should always listen to what your doctor says first and foremost, etc. Now let us take a look at your question, and see what is going on with your fertility potential. First, we want to get a general sense of your and your husband’s overall fertility. You are shown by Mercury (Lord 1), in Virgo. Mercury is strong in Virgo, which is good, but Virgo is one of the non-fertile signs. The baby is shown by Lord 5, Saturn, in Leo, another non-fertile sign. This is not auspicious, but other testimonies can override it, so let us not despair yet. Your husband is shown by Lord 7, Jupiter in Scorpio, which is a fertile sign. As you mentioned, he is rather fertile. 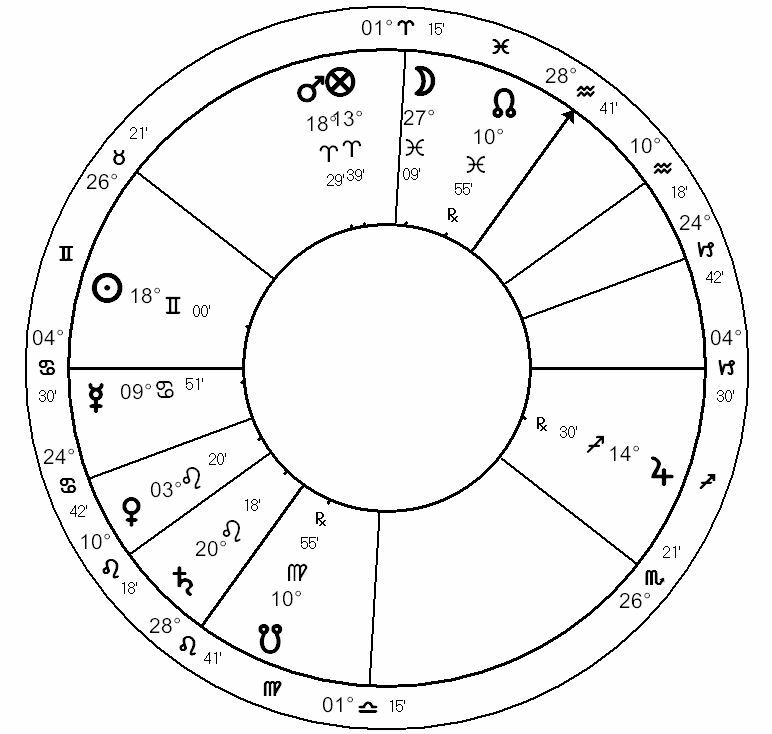 His fertility, Lord 11 (turned 5th house of fertility) is the Moon in Aries, which is a neutral sign. Mercury (you) has recently separated from the malefic South Node, showing that you have lately had health problems. Since this is shown to be in the past, the hope is that your health will improve from here on out. Note that the South Node is right on the Ascendant, showing its harmful effect on your health. So the overall picture shows that there is some potential for fertility, but the situation is hardly optimal, due to your ill health. You mentioned that the medications are causing you serious side effects; indeed, in addition to your husband’s fertility, the Moon is the treatment. The Moon is in Aries, the fall of Saturn, so it harms whatever Saturn represents. Since Saturn rules the 5th house, it is the baby. Also, the Moon squares the 5th house cusp, further harming your fertility. Yes, the medications may well be harming your potential to conceive. The good news is that the Moon will soon move out of Aries, and will thus stop harming Saturn and the 5th house. Either your medications will finish and thus will not harm you any longer, or they will stop harming your fertlity for other reasons. The next step is to see whether the opportunity for conception will arise. There is no applying aspect between Mercury (Lord 1, or you) and Saturn (Lord 5, the baby), so it does not look as though fertility treatments or natural means will lead to conception in the foreseeable future. Now, astrologers can be wrong, especially on something as finely balanced as fertility – if you had unlimited funds, I would say go out there, do all the fertility treatments you can and prove me wrong. But you did mention that a major concern for you is the lack of money, so you have to choose your course of action carefully. I do think adoption may be the higher-odds bet here. Some people like to do one more round of fertility treatments to satisfy their conscience and know they have done all they can in that regard. I wish you the very best of luck in creating the family you want. – To schedule a private consultation with Nina Gryphon, you can email me at nina@gryphonastrology.com.